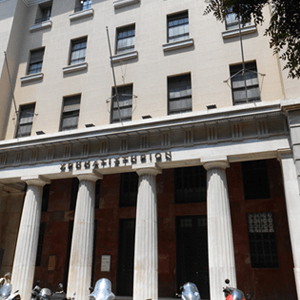 Athens Exchange Group (ATHEX GROUP) is a group of companies that provide support to the Greek Capital Market. ATHEX GROUP and its subsidiaries operate the organized Equities and Derivatives markets, perform clearing and settlement of trades, supply integrated software solutions and services to the Greek capital market community and promote the investment culture in Greece. Code of Conduct for Clearing & Settlement, led by the exchange and post-trading industry, aims at promoting cross-border investment activity in equities and thus contributing to the integration of European equity markets. We at the HELEX Group believe that CSR is a concern for all of us. In a society that is constantly evolving none of us can remain uncaring. We all have the same responsibility towards the society and the environment. Our Group operates in a constantly changing global environment and Is daily confronted with challenges related to its efficiency and in its presence as an integral member of the social and economic landscape. All of us have equal responsibility towards society and the environment. Our Group operates in an increasingly globalization environment and metallomeno confronted daily with challenges related to efficiency and in his presence as an integral member of the social and economic mainstream. The protection of the environment, the awareness for humans, the education and the culture through a series of activities concerning financial support and voluntary actions, are the basic 'investments' of our Group.